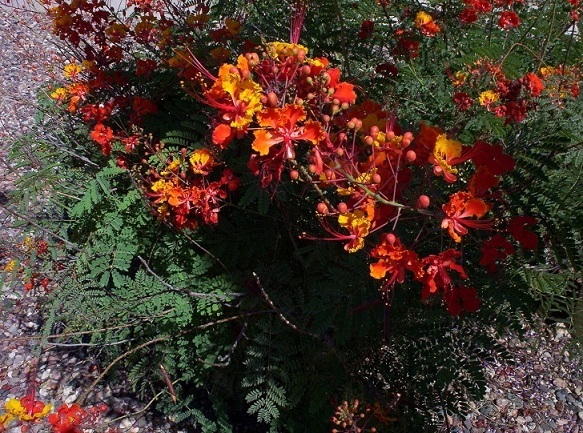 The red bird of paradise is one of the most colorful and easiest to take care of plants for Phoenix. It is decidious but blooms continuously through the summer. Neither heat nor frost are a problem for this plant in the lower desert. The red bird of paradise is related to both the royal poinciana and to the mexican bird of paradise. Like its relatives, it has poisonous seeds and pods. 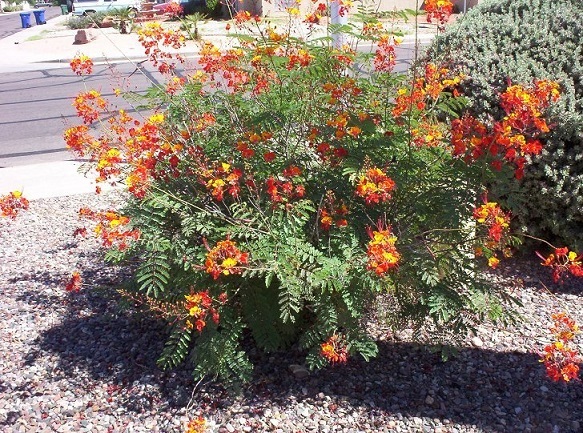 The red bird of paradise will tolerate severe pruning while it is dormant.